Here’s a quick one, a few videos have popped up on Stab Mag and other places recently which highlight the differences between GoPro self shot footage and more traditional angles. Inner Views from Kyle MacLennan on Vimeo. We live in a time an age where anybody can be a videographer or photographer. The surfers have become a one stop shop. They do the surfing, filming/photography and the odd creative pro even edits their own clip. Nathaniel Curran and buddies have a bit of fun with a few GoPro’s around home to the soothing tune of Modest Mouse. I guess Stab is ironically making the point that what separates this clip from countless others are the angles shot by the dedicated video/photo guy in the water, getting two angles of the action has made all the difference, the surfers shaky arm cam is great, but not as good as many other similar videos. The relatively steady, well framed shots from his buddy (I assume it’s Kyle MacLennan, whose Vimeo account the video is on) who looks like he’s capturing either higher res’ video or stills at the same time (notice the GoPro mounted on top of his large housing at 1:30), give the POV shots from the GoPro some perspective. ‘Black Friday’ Banzai Pipeline from Owen Milne on Vimeo. 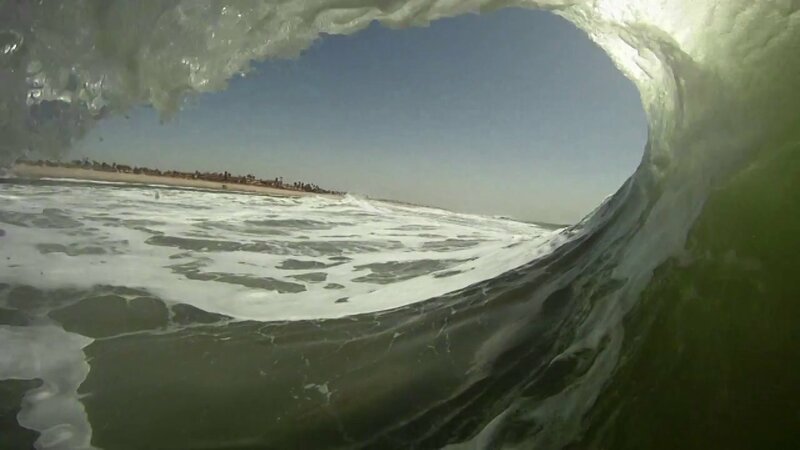 I don’t know if you agree, but I think that just the GoPro angle can’t do great waves justice, you either need both, Like Nathaniel Curran and Kyle Mac, or you could get away with just the land angle, I know which one I’d watch again. I’m not GoPro bashing, I absolutely love the little cameras, I have the hero 3+ black edition and would never be without one again, I shoot video nearly every session, but I know that there’s no comparison between what you can capture yourself with a camera, and what a professional, or increasingly, an amateur videographer or photographer can capture. I just got into GoPro shooting. Really starting to love it. At first didn’t like the look but there are soo many interesting angles you can get, mixing traditional clips with POV style really spices a video up.